Managing Attorney Michael Semanchik with Horace Roberts on the day he was released in 2018. 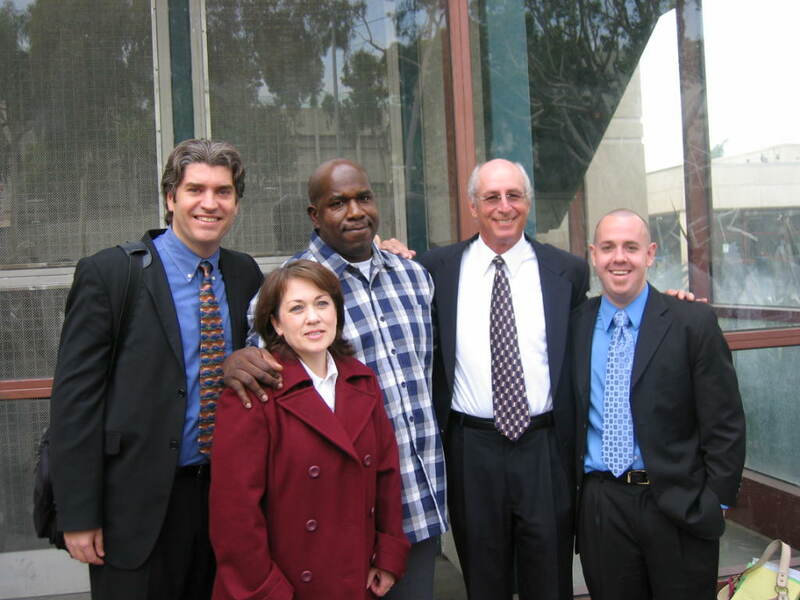 Timothy Atkins with CIP Director Justin Brooks, former Co-Director Jan Stiglitz, Attorney Wendy Koen, and Associate Director Alex Simpson the day he was released 2007. CIP Managing Attorney Michael Semanchik appeared in front of the California Victim Compensation Board (CalVCB) on behalf of Horace Roberts on February 21. The Board granted Horace compensation that day, promising him the more than $1 million he is entitled to! Per California law, Horace is entitled to $140 per day for each day he was wrongfully incarcerated. Before his exoneration on October 12, 2018, he had been wrongfully incarcerated for 20 years. We have been fighting for Timothy Atkins’ compensation for more than a decade. On February 21, CIP Associate Director Alex Simpson appeared again in front of CalVCB to argue on Tim’s behalf. The Board considered a proposed decision giving Tim $100 per day of his wrongful incarceration, but ultimately remanded back to the hearing officer for the determination of whether Tim should be compensated $100 or $140. At that time, we will continue arguing that he should be compensated the full amount ($140 per day) he is owed by law. 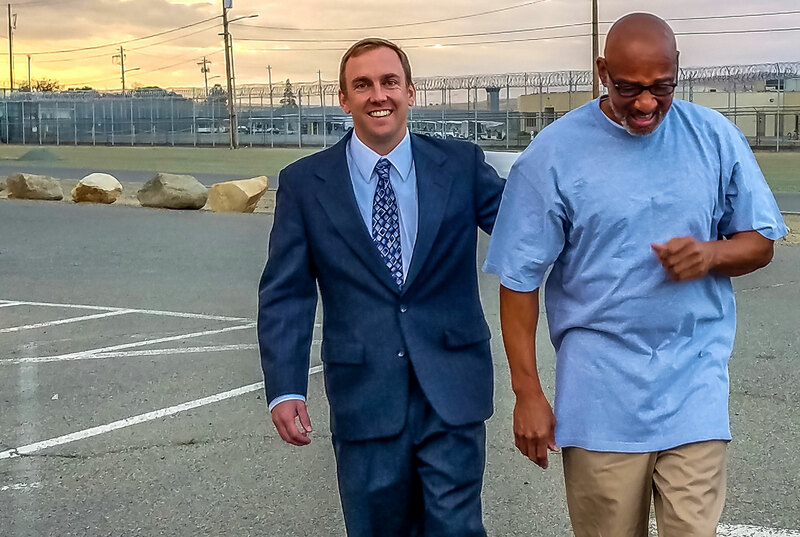 Tim was wrongfully incarcerated for 23 years—nearly 8,400 days. While monetary compensation does not remedy the injustices and trauma exonerees experience, it certainly helps them move forward with their lives as they reintegrate back into society.